The RemoAge project will tackle the challenge of supporting people with dementia and other frail older people to age at home in remote and sparsely populated areas of the northern periphery of Europe. Long distances and limited resources are two challenges to overcome. Tested and evaluated service packages will meet this challenge. The service packages will include methods to support the elderly with health and social care needs, flexibility to individual needs and an increased level of remote support. Expected results are improved access to personalized services in direct support in daily life, support to family carers and health personnel, but also increased involvement of the community. The target groups will be involved throughout the project in a participatory process from the identification of needs, the adaptation of services and the evaluation of services. A main focus of the project is to develop and implement person centred services that are by definition services adapted to the individual needs of the frail older person and their family. Europe is facing a major societal challenge in the fact of a rapidly increasing ageing population. A key challenge is to find real solutions to ensure that our older citizens are able to live healthy, fulfilling and independent lives whilst keeping health and care systems sustainable. Exciting and groundbreaking EU research and innovation efforts look set to deliver these solutions. With each passing year, Europeans are living longer. Although this is to be applauded, there will be increasing demands for health, social and informal care services over the coming decades. This will have real effects on how we live, work and shape our external and domestic environments – home, communities, cities and towns. Questions over who is (or who should be) responsible for health and social care will be at the top of political agendas and concrete answers must be provided. At the same time, the changing age structure of our society can also open up new opportunities for innovation in the digital economy and society. Europe is facing unprecedented demographic changes with an increasing ageing population. There are an estimated 8.7 million people living with dementia in Europe and this number is expected to rise. Although dementia is not a natural consequence of ageing, the impact of the condition on the elderly is set to grow. In the absence of a cure or universally effective treatments for dementia, in the foreseeable future, there is both the opportunity and necessity for creative, positive community-based initiatives to support people living with dementia, not only to live well but also be active participants in their communities. It is crucial that ‘dementia-friendly community’ initiatives situate people with dementia at the centre, maintaining a view of them as people, citizens, and equal members of society, not just service users or patients. As a follow-up to my previous post on eHealth in Denmark, this shorter, downloadable document (also in English) gives and oversight and real-life examples of the Danish model of eHealth and how eHealth is used in Denmark. Click on the link below to access it – happy and healthy reading! 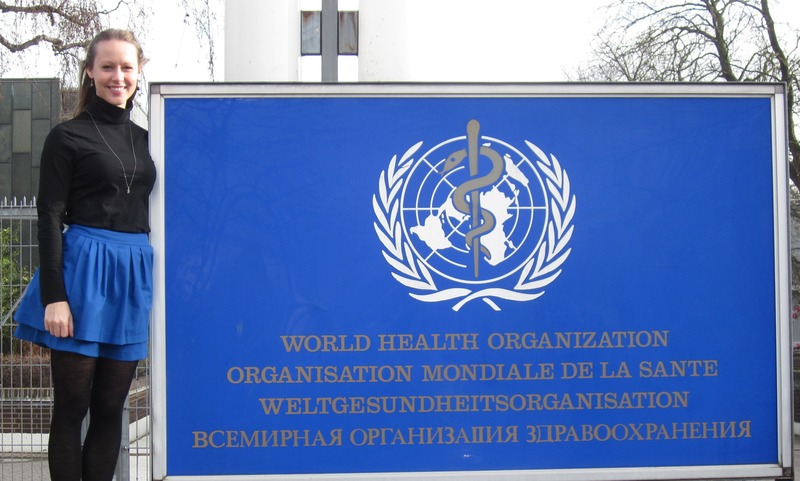 Please have a read of the World Health Organization European eHealth report and share it with those who would be interested. In particular, you may find the case example on page 71 interesting, where big data for dementia research and treatment is discussed. Or the case example on page 36 about eHealth supporting aged care and carers. The expected impact of the project will influence the scientific, clinical and industrial communities across Europe and internationally to improve the healthcare of dementia patients. This will both improve patients’ quality of life, and also reduce the burden on carers and the costs of supporting people with dementia. I came across this advertisement through the Telehealth and Telecare Aware newsletter I receive. I immediately contacted Elizabeth Dodd to see if it was possible I could join in the tour while they are here in Denmark, or if I could be of any help in finding places to visit or contacts while here. After some weeks of email correspondence to work out a price (I wouldn’t be joining the whole tour, and I won’t need any of the accommodation, meals, or transportation), we agreed that I could join the group while they are here in Denmark for 2 days and I will make a webinar for them at a later date in lieu of payment! I am SUPER excited about this! !